The costs aren’t there just yet, but they will be soon. A lot can happen in the heat of the moment. 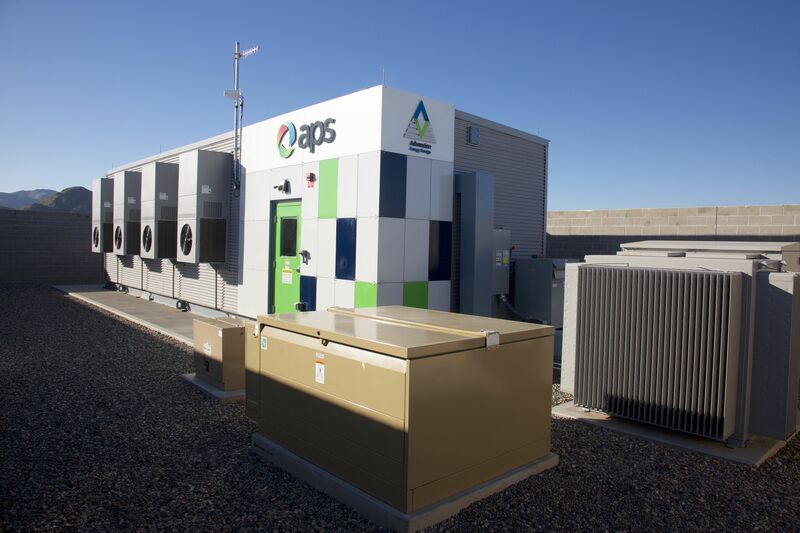 For South Australia, the stress of a statewide blackout last fall prompted two major purchases in the grid-time equivalent of the blink of an eye. 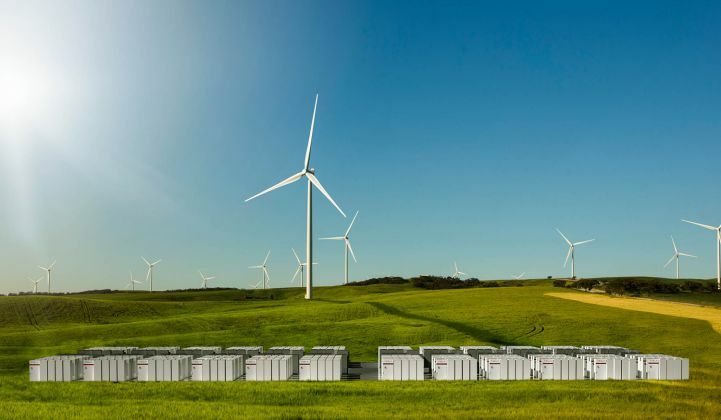 The government procured a 100-megawatt/129-megawatt-hour battery from Tesla, which will be the largest in the world, and a 250-megawatt open-cycle gas turbine (OCGT) peaker plant. Those projects show that the government is doing something about grid stability. But Wood Mackenzie, GTM Research and MAKE Consulting wanted to figure out if and when energy storage will start to displace gas peakers for cost-effective peak capacity on sheer economics. South Australia makes a useful test case for these questions due to the stark changes underway there. The state closed its last remaining coal plant in May 2016. 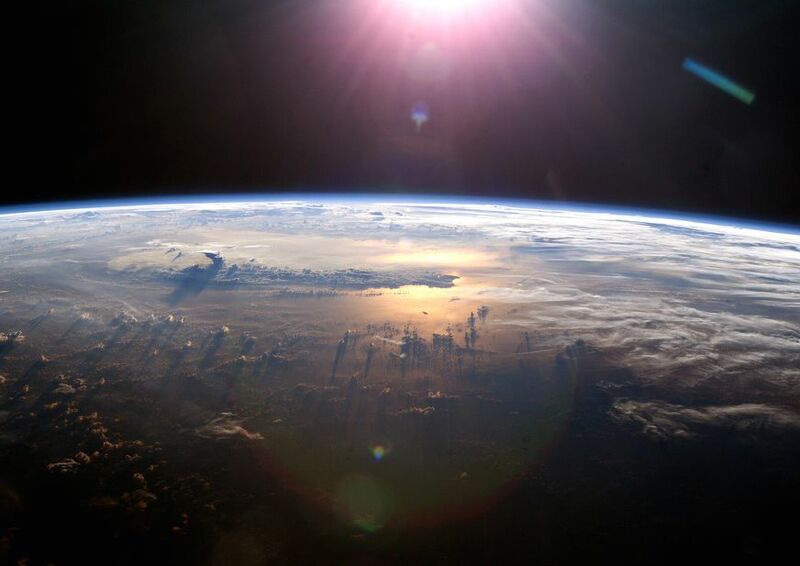 Wind and solar have risen to 46 percent of generation, and are expected to hit 67 percent by 2025. In September, extreme weather triggered the first statewide blackout since the National Electric Market got started in 1998. This caused a great deal of finger-pointing as to which resources caused the failure. Another round of blackouts rolled through in February due to load-shedding when high demand coincided with low wind production and limited gas reserves. 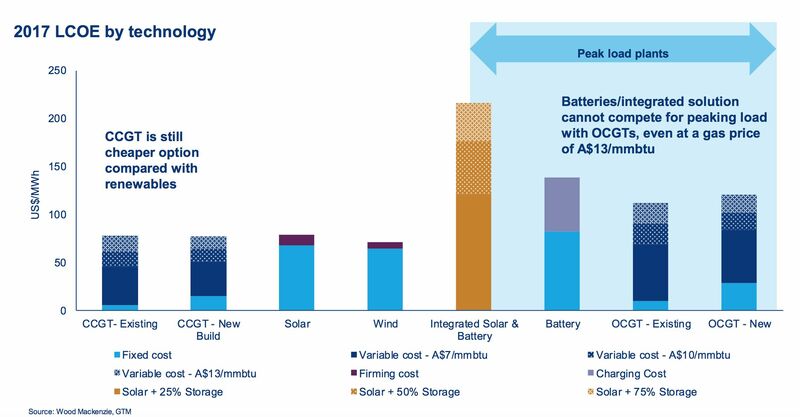 In today's market, neither renewables backed by storage nor standalone storage are cost-competitive with OCGTs for peaking power, according to the analysis. 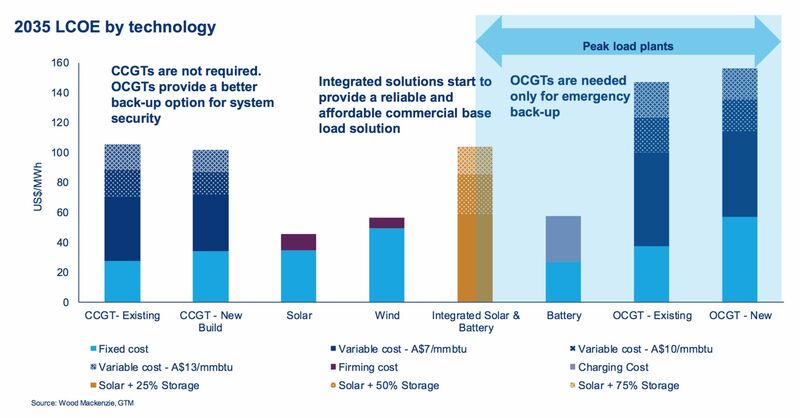 By 2025, solar-plus-storage and standalone storage both beat new and existing OCGTs for meeting peak load. By 2035, renewables and storage will be lower-cost than gas for both baseload and peak power, although some OCGTs may still be needed for emergency backup. That's heartening news for the storage industry -- and a warning sign for gas. "A much smaller proportion of gas is used for peaking than for baseload, so it's a much bigger deal for storage and renewables to displace combined cycle gas turbines than peakers," said Shayle Kann, head of GTM Research. The data suggests a pathway where niche applications like the Tesla project, which is short-duration and intended for grid reliability rather than peak capacity, pave the way for storage to compete with gas peakers more broadly, and even then threaten baseload gas, he added. 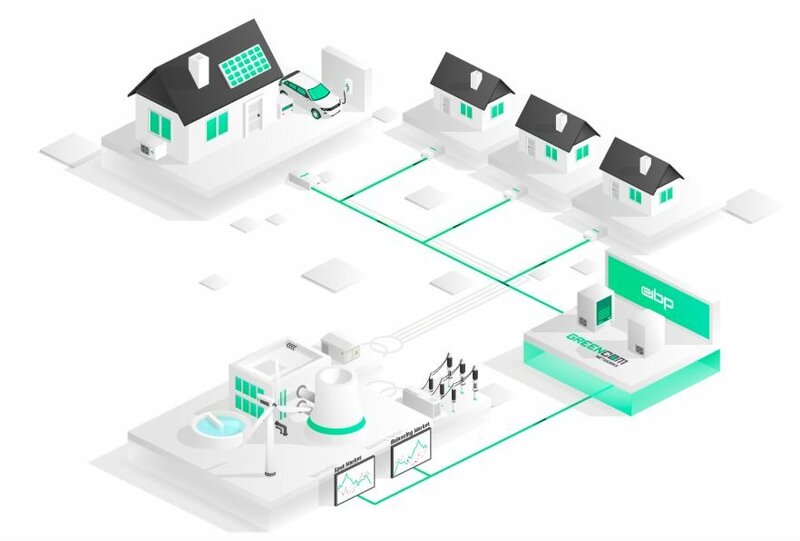 Many storage developers today pitch utility-scale batteries as a more flexible alternative to peaker plants, arguing they avoid the risk of stranded assets that comes with purchasing single-use peakers that might not be needed in 10 years. The storage for baseload pitch hasn't really begun, at least not outside of remote or island grids. Of course, the evolution of grid operations won't be as neat. Overall gas demand is expected to drop more than threefold by 2025, but month-to-month variability will be considerable. The government will also have to weigh how much it wants to pay to maintain some OCGTs as emergency backup power. "If you got rid of gas entirely, you run a risk of an anomalous scenario where there's very little solar generation or wind and you don't have anything dispatchable to replace it," Kann said. For regular operations in 2025, the amount of storage needed to displace gas peakers is surprisingly manageable. The yearly maximum residual demand for gas falls in February, when the wind generation doesn't fully cover the evening peak. By adding 400 megawatts/1,600 megawatt-hours of energy storage, though, the grid could fully displace imports or gas peakers in meeting the evening peak demand, according to the analysis. The key there is the 4-hour duration. Short-duration batteries like those used in the Tesla project cannot bulk-shift enough power to displace peakers. That is a lot of megawatt-hours in today's terms. But 100-megawatt projects are becoming more frequent, and won't seem as massive by the mid-2020s. The economics are expected to improve, thanks to declining battery costs and cheaper costs to charge. South Australia's grid is unique in how much renewable energy it already has, but these trends should bear out in similar markets where the grid transition pushes out coal and leaves renewables, gas and storage. Then the question won't be whether renewables and storage out-compete gas power, but rather how to ensure cost-effective reliability when those market forces arrive. Greentech Media’s two-day U.S. Power & Renewables 2017 conference in Austin, Texas this November will bring together the solar expertise of GTM Research, the wind energy analysis of MAKE, and the broader energy and utilities expertise of Wood Mackenzie, for an end-to-end view across the entire energy market value chain.